Cripple Creek will be playing this Sunday (27th Jan) from 1:00pm-5:00pm. They are playing at the Cobbs Hill Estate winery at 382 Swamp Road, Oakbank SA 5243. They are also on Facebook. Some of the band members visited the venue a few weeks ago and say it is a truely lovely picnic setting with a lake, lush grass and huge trees for shade as well as an undercover terrace in a heritage setting. The Cobbs Hill Estate was one of the original Cobb and Co staging locations. As well as tastings, wines can be purchased by the glass and beer is also available too. Of course delicious food is also offered including vegetarian and as the weather is looking perfect so it should be a terrific day. If you are really in the mood the weekend is part of the Adelaide Hills Crush festival. Cripple Creek at the Railway Hotel. Just a quick note to SA Bluegrass fans that Cripple Creek will be performing at the Railway Hotel 2:30-5:30pm on Sunday 11th March. The Railway Hotel is at 247 St Vincent St and on the corner of Lipson Street. It is a popular venue featuring a variety of local and visiting musicians. Here is a reminder for Cripple Creek’s next gig to be held this Sunday 29th Oct., at the Pt Noarlunga RSL from 2:30pm to 5:30pm. Directions: just up the hill about 400m from the Pt Noarlunga jetty (on the Esplanade). The RSL has dinner menus too. http://www.ptnoarlungarsl.com – Ph – 08 8382 7785. Cripple Creek to Play Angas Plains. 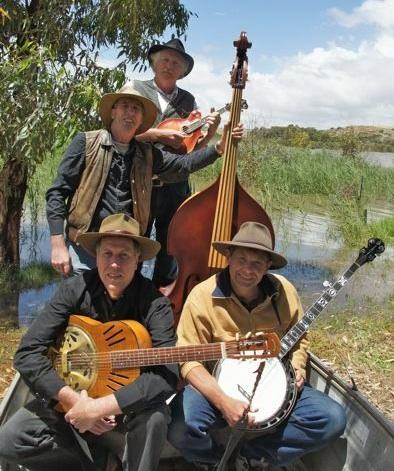 Cripple Creek will be playing once again at The Angus Plain Winery on Sunday 16th August from 1:00pm – 4:00pm. The winery’s kitchen will be open and serving meals all afternoon. Phone 08 8537 3159 to reserve your table. In addition Ron, Ian and John will be busking in the Central Market this Saturday from 10am sharp to 11am on the Gouger St corner (south-west corner near the car park entry). Angas Plains Wines Cellar Door is located midway between Strathalbyn & Langhorne Creek. 317 Angas Plains Road, Langhorne Creek. Email info@angasplainswines.com.au. Cripple Creek has posted 8 tracks in preparation for their new CD Release. After the closure of their regular haunt the Whitmore Hotel (closed Sundays) the band has turned their attention to recording. Just what they needed to motivate them into the studio to record 8 tracks for their coming album release. You can catch a glimpse of their work to-date on Soundcloud. Their plan is to print a few CDs eventually, so if you are interested in pre-ordering, let them know and they will reserve one for you with free delivery. 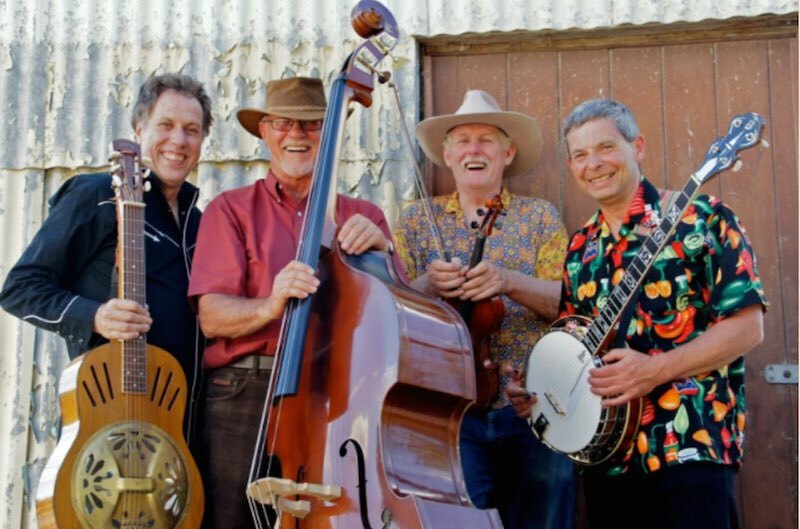 The boys from Cripple Creek have announced that their special guest, Gerry Hale will be performing with then at the Whitmore Hotel on Sunday April 12; from 4 – 7pm. Gerry, frontman for the well-known Victorian band Uncle Bill is a master on mandolin and fiddle and has had musical associations with Paul Kelly (CD Smoke), Colin Hay (Men at Work), Dan Hicks and Deborah Conway. As a teenager Gerry performed on stage with the father of Bluegrass, Bill Monroe. This really is a special treat and not to be missed, and best of all entry to the Whitmore will still be free and the usual happy hours and fine-food still be available. Cripple Creek have also been working on recording a few songs which will be available soon. Cripple Creek has been invited to perform at the Strathalbyn Auto Collectors Club prestigious Cars of Australia Show on Australia Day, 26th January 2015 at the Strathalbyn Oval Complex, open from 10 am to 4.30 pm. Following the Club’s very successful inaugural Show in January 2014, this year’s Show has been expanded to include just about any car with an Aussie flavour originally built or assembled in Australia. Categories include historic, street and modified cars. There will be Trader and Food stalls, our Cripple Creek band and dance floor under a marquee, 2000 model cars on display and for sale, free mini train rides around the grounds plus a bouncy castle and sideshows. You can find out more from the web site: strathalbynautocollectors.com. Cripple Creek hail from Adelaide, South Australia and is an energetic acoustic foursome with stirring harmonies and instrumentals and a driving sound that play songs from spine tingling ballads to toe tapping breakdowns in a unique blend of bluegrass and alt-country. Cripple Creek Gigs in Sept. Cripple Creek fans are reminded that there are two free gigs coming up. Telephone: 08 8449 6716 for details or visit the website. Cripple Creek is Henk Groot: Guitar, mandolin, fiddle and vocals, John Hyland: Dobro, guitar and vocals, Ron Williams: Banjo and vocals, Ian Davis: Double bass and vocals. Here’s some more news from John of South Australia’s Cripple Creek. See and hear more of the band on their Cripple Creek Website. Also look out for us at the Frances Folk Gathering on the same weekend – it’s going to be a long weekend for Cripple Creek. 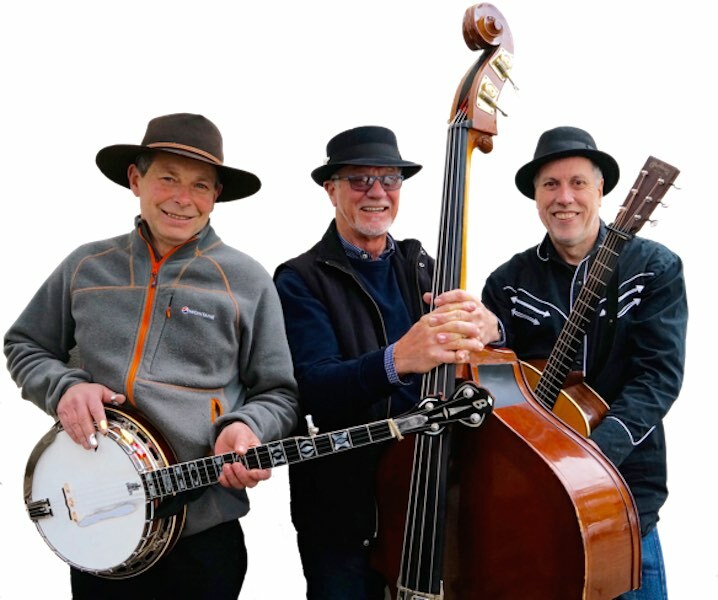 Cripple Creek features Henk Groot on guitar, mandolin and fiddle; John Hyland: Dobro and guitar; Ron Williams on banjo and Kev Smiff on the double bass. Don’t forget to check out Cripple Creek Website for downloadable versions of their Promo CD songs. Also special guest Simon Cousins will play a showcase set of classical/flamenco. If you missed him at the Whitmore a few weeks back here is your chance to enjoy some mighty fine guitar playing. Look out for them at the Frances Folk Gathering on the same weekend Friday at 8:40pm and Saturday evening.